Call Us for New Pool Installations! Established in 1984, Bama Pools, Inc. has been providing new pool installation services for customers in Mobile and nearby areas. We are a family-owned and -operated business and believe in building long lasting relationships with our clients by providing superior customer service, industry leading practices and personalized design for every project. Our exceptional services have given our customers the confidence to come back to us for additional work. 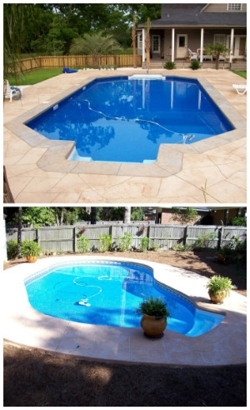 We specialize in building in-ground vinyl liner pools, hydra pool liners and customized pools. We can replace liners of any shape or size and install pumps, filters, salt systems and pool cleaners. Bama Pools, Inc. provides in-home free quotes for new pools and determines the price based on the size and components installed. Our pool services are reliable and available on a monthly basis. We come well-equipped to provide pool sanitation upgrades, including salt water options. Our experts have years of experience in the business and can renovate your old pool to make it look as good as new. We are committed to offering our clients superior design, uncompromising quality and a phenomenal experience. Call us at (251) 316-4311 for more information. Copyright © 2018 bamapoolsmobile2.net All rights reserved.